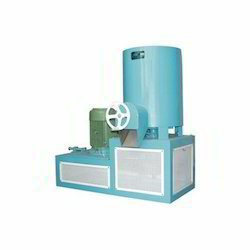 We bring a wide range of Plastic Auxilliary Equipment like Scrap Grinder, High Speed Mixer, Agglomerator, Screw Barrel, Palletizer and many more that are made using best raw material. These equipment feature corrosion to resistance, optimum quality and smooth performance. 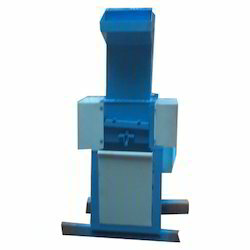 These Plastic Auxilliary Equipment are generally used for industrial as well as mining applications. 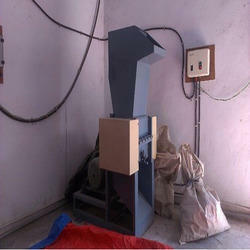 Our experts can also design these Plastic Auxilliary Equipment as per the given specifications of clients. These Plastic Auxilliary Equipment are offered at most affordable prices. Automatic Palletizer offered comprise systems featuring side feeding way that comes with compact designed finish and provides for economical usage. Further, these allow for advanced layer-type palletizing design and provide for table running with low power consumption. Some of its features include advanced PLC control system, allows for array palletizing, pallet unloading, malfunction alarm and guard support, superior touch panel support for putting operator in control, offers easy to follow sequence for auto and manual functions. We are renowned and trusted enterprises in the industry, offering the best quality array of Pet Bottle Crusher Machine to our customers. These products are offered with the help of modern technology using the best quality material. Offered products are used for crushing the glucose bottles which are used in the hospital so that these bottles cannot be reused. Our valued patrons can get these products at reasonable prices. 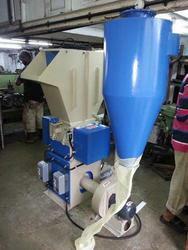 "Archana Extrusion Machinery Mfg. "offer the Turbo-wash replaces the pre-washing tank of the first-generation washing plants. The machine is designed according to the principles of a Vertical centrifuge and includes a combination of washing and a subsequent initial drying action. It is therefore possible to process very dirty pre-shredded material with high paper content and Aluminum foil residues. Our rich industry experience in this field enabled us to provide a wide range of Plastic cutting machine to our reputed clients. The offered product is widely used for the pre-crushing process for rubber, plastic and other material and manufactured using quality approved raw material keeping in pace with the industry laid standards.